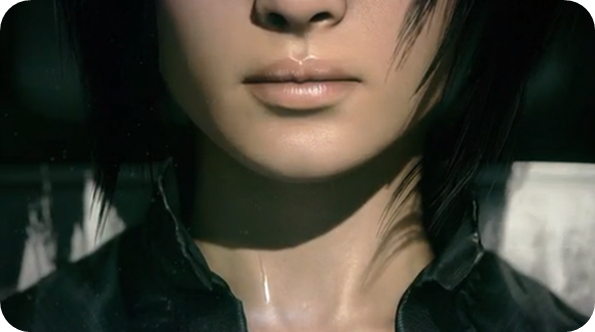 A packed E3 2015 showing from EA included a rather tasty gameplay trailer for Mirror’s Edge: Catalyst where we see Faith in action. The first-person free-running skills are looking slicker than ever as Faith perform wallruns, slides and even boots enemies clean through windows. Unlike some, I was never struck with motion-sickness with the original, but that new backflip may take some getting used to! Gamers who have purchased the digital version of Battlefield: Hardline on PS4 are reporting issues for the game’s installation in-game. Once the game has downloaded from the store and the latest software patch has been installed, gamers are able to start the game as per normal. Once games are downloaded from PSN, they install automatically on the main menu usually. However, that’s not the end of the installation for Battlefield: Hardline. My own experience so far with a digital copy has been matched with multiple reports appearing online right now. On the game’s main menu, they are seeing a screen like the one below. Multiplayer does not appear yet and only Episodes are selectable. Diving in, I found I was able to play the brief prologue level before being kicked back to the menu as the rest of the game has yet to be ‘installed’. Earlier this week we posted part one of EA’s behind closed doors demo of Dragon Age: Inquisition, which saw expansive outdoor environments and a bloody massive dragon. Today’s latest video takes the action indoors to Redcliffe Castle. The latest gameplay demo gives us a better look at the extensive tactical options available for those of you that don’t want to play the game like a button-bashing action title. Ordering party movement, creating choke points and using elevation for an advantage are all shown off. There are also a few story scenes to enjoy along with some of those trademark Bioware decisions to make on the fly and it looks like your group is just as unruly as ever. Having a cheeky pre-E3 holiday was a great idea. Well, aside from the lack of internet, being awake for the last 36 hours, still having sand from the Aegean in my hair and suffering from regular twitchy lucid flashbacks of that spider that invaded my apartment one night. At last night’s VGX awards (formerly the VGA’s), Titanfall showed up to the party and unveiled two new classes of Titan gamers can look forward to piloting when the game lands in March on the Xbox One, 360 and PC. Before today, we’d only seen and played as one regular Titan. To mix things up a little on the battlefield we will now have the Ogre and the Stryder to choose from too. The Ogre class is your choice for high damage output and resistance, but at the cost of speed. So it come’s as no surprise that the Stryder model is the opposite, sprinting around the battlefield and using nimble jet-thrust dodge moves to get the upper hand against slower opponents, although this means they will have the weakest armour of the Titans. FIFA 13 has broken the record for longest run in this generation’s UK charts Top 10. 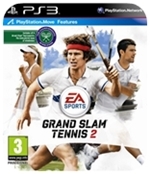 EA’s mega-selling footy title entered the charts at Number 1 way back in September 2012 and managed to stay in the Top 10 for a staggering 48 weeks. On Monday it slipped from 10 to 14. EA and DICE have just announced at E3 that we are finally getting a new Mirror’s Edge game. A new trailer even shows us some early gameplay using a new engine. What is also interesting is how we see Faith getting her trademark tattoos for the first time. The star over the eye and the weird grid thing on her arm are getting inked onto her inbetween the action shots in the trailer and the one her face looks like it’ll be stinging for a while. Rather than keep it out of the sun though, we’re sure she’ll be running around crisp, bright and clean rooftops again soon. Another hint that it’s not a direct sequel, at no point do they call it Mirror’s Edge 2, even in the small print at the end. We’ll keep you posted. Those are the words spoken by one of cinema’s most respected and most successful horror movie directors, John Carpenter, in an interview with Game Informer [reported by Videogamer]. He’s the man behind the Halloween series, The Fog and The Thing. He’s also had success with nail-biting tension and action in films like Assault on Precinct 13 and Escape From New York. Maxis are working through the weekend to try and stabilise your SimCity experience. Just four days since the 1.7 traffic pathfinding update they have another one for the much-maligned game. Highlighted fixes and improvements include police station capacity issues, sewage glitches, missing textures, new roads messing up old roads and clearer text alerts. We’ve just heard from EA about how they’re fixing the utter farce that has been the launch of SimCity this week. The game requires an always-on internet connection and they’ve been unable to cope with demand on their servers with gamers losing data or not even being able to activate their copy of the game. This is more like it, a trailer that shows continuous uninterrupted gameplay as opposed to flashily edited footage using multiple angles. This is how the game will look when you’re playing it. Frankly, it’s made us want it even more as this really could fill that Burnout sized hole we’ve had in our hearts since 2008. Popular online retailers ShopTo.net have leaked a trailer for EA’s new racer, Need for Speed: The Run. Realising it would be hard work denying the project with a EA-stamped trailer zinging around the internet, EA were quick to confirm the game’s existence. We’ve even got a release date of November 18th. If you’re yet to check out the latest sneak-peak trailer for the upcoming Alice: Madness Returns we suggest you do so right now. Go on, we’ll wait… Pretty nasty towards the end wasn’t it? With the successful rebranding of Need for Speed as something a bit more serious with last year’s NFS: Shift, EA might have wished they hadn’t already tasked Criterion Games with taking on the old brand instead of working on a new Burnout game. But hell, we were all more excited than we’d like to admit at the possibility of a Burnout/NFS hybrid even if EA couldn’t be arsed coming up with a new name. But is it a Brangelina or a three-thumbed hillbilly? 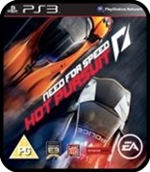 Need for Speed: Hot Pursuit straps you into the seat of some of the world’s hottest cars as both a racer and a police officer in the fictional US location, Seacrest County. Sea crest consists of many, many desert roads, beaches and mountain passes. But mainly deserts. While the races take place on tarmac there are loads of shortcuts you can take to gain an advantage. Often they’ll be more hazardous and over rough terrain, so you’ll have to judge which ones work best for you and the car you’re driving. There are even a few that may take longer than the original route, you’ll have fun checking them all though.